Fun PhotoBooth which can go anywhere with a power supply. Versatile and flexible and it isn't an old style enclosed booth. Looks cool, takes up minimum space and can accommodate groups of different sizes. Unlimited visits, unlimited prints, green screen, booth attendant, prop box, all images emailed to you, choice of backdrops! Our touchscreen systems enables you to upload your photos live to your Facebook account, Twitter feeds and to your email address - subject to a wifi connection at the venue or at a later time. Collect users' email addresses too. Personalised templates available to customise your event. 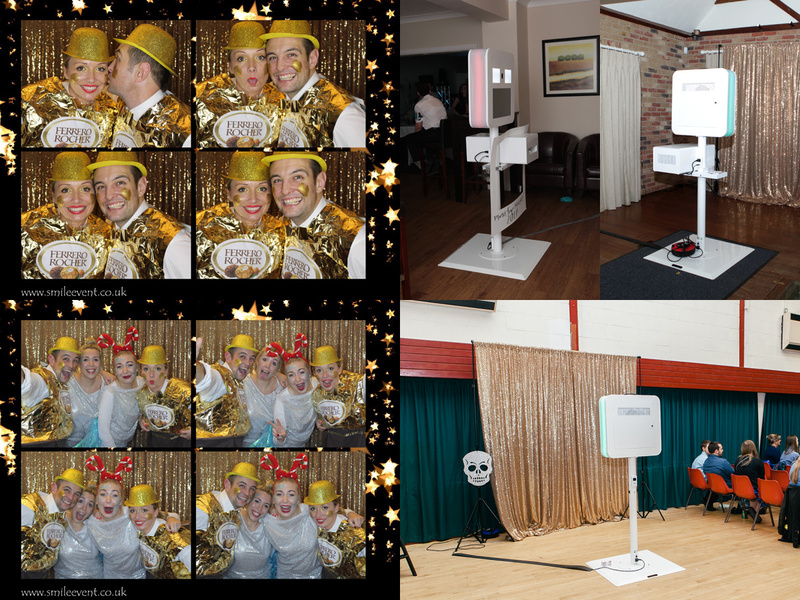 If you want more fun at your party with prints to take home you need a PhotoBooth! Available any day/night of the week! Give us a call or a message to see how we can enhance your celebration! Guest Book Additional set of prints mounted in a guestbook for your guests to leave a message for you! Custom Backdrops Personalised backdrops can be organised. Themed Prop Box Props themed/personalised to your party for your guests to pick and choose. Customer Branding Increase your exposure by adding your brand, product or company details to the booth and or to the photos.